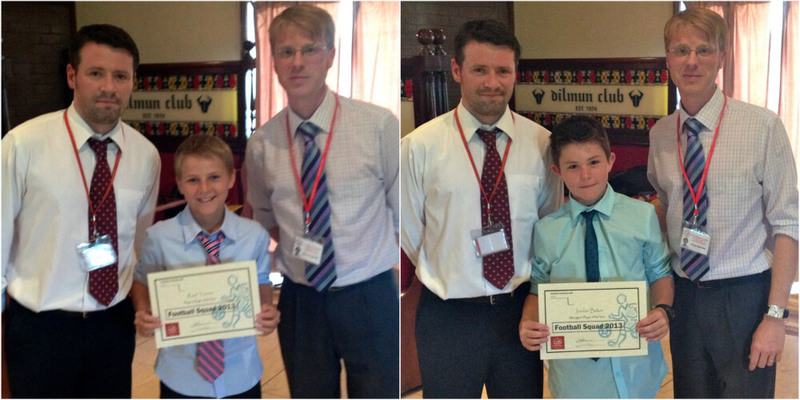 After a gruelling, but successful season, the Year 5 and 6 Football Squad had their annual awards presentation dinner at the Dilmun Club on Wednesday 29 May. Thirty five boys were in attendance, eagerly waiting for their nickname certificates. Alex Egan said, “It’s been a long hard season but I have had a great time”. After a tremendous speech from coaches Dawson and Ross, the boys tucked into their meals, followed by copious amounts of ice cream. The main purpose of this event is to present the football awards and Raef Tanner was presented with Players Player and Jordan Baker was presented with Managers Player. Louis Mulleague said, “Playing for this team has been even better than playing for Coventry”. Congratulations to everyone in the team and thank you to all the coaches.